Depending on the type of adoption matter you have, there are several possibilities. For example, if you are adopting through the Illinois Department of Children & Family Services [D.C.F.S.] or one of its contract agencies, there are several steps involved in just becoming an approved foster parent [licensed or unlicensed]. After parental rights have been terminated in the underlying Juvenile case, the agency needs to submit reports, obtain medical reports, and conduct background checks and other procedures depending on the circumstances. Once the D.C.F.S. subsidies are drafted and sent to the attorney, there are still a dozen or more steps involved before the adoption can be finalized. Additionally, if a child is being adopted privately [without D.C.F.S. involvement], there are still lengthy procedures. In all types of adoption, the Illinois Adoption Act requires the court to appoint a guardian ad litem [GAL] to represent the interest of the minor child(ren). The GAL is an attorney who conducts an interview of the (foster) parents and child to verify the facts alleged in the adoption petition. The GAL issues a report of the investigation to the adoption judge. 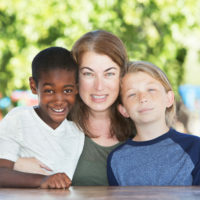 In unrelated private adoptions and foreign adoptions, the Adoption Act requires a home study of the family conducted by a licensed agency, which includes background checks and other investigative measures. Step-parent adoptions do not require a home-study. However, step-parent adoptions can be complicated if the birth father refuses to consent to the adoption. In all adoption cases, there will most likely be delays. The more entities involved in the minor’s life, the more complex and lengthy of a process it will be. The attorneys at Johnson, Westra, Broecker, Whittaker & Newitt, P.C. will provide information for the steps involved in your particular adoption case and keep you informed during the process. Attorney Karren Brower has handled several dozens of adoptions. She is a D.C.F.S. approved Adoption Attorney Panel Member and represents foster parents in all types of adoptions, both private and D.C.F.S. involved. Attorney Brower represents adoptive parents in DuPage and Kane Counties. If you are considering adopting a child in Illinois, contact the compassionate, experienced, and dedicated Carol Stream family law attorneys at Johnson, Westra, Broecker, Whittaker & Newitt, P.C. for a consultation on your case, at 630-665-9600, with additional offices in St. Charles and Chicago.